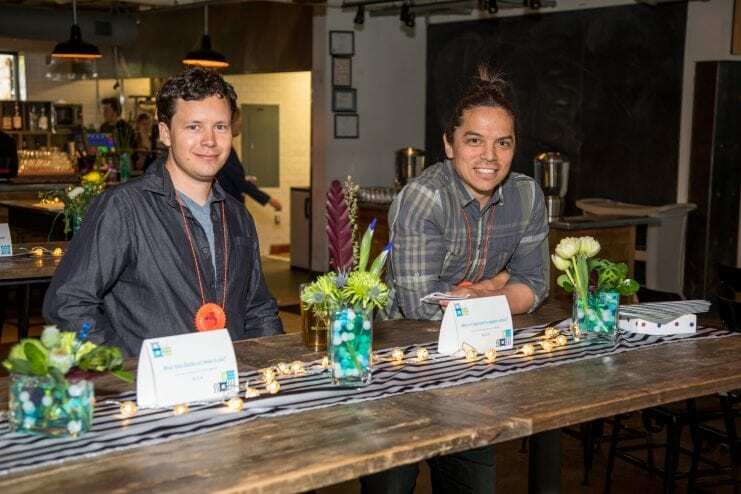 The Rasmuson Foundation awarded project money to several Alaskan artists last week through their Individual Artist Awards program. Several of those honorees have roots in Sitka and Kake. Multimedia artist Nicholas Galanin won an $18,000 fellowship award, money he’ll use to assemble the necessary tools and equipment to create a large body of sculptural copper work this year. Employing the techniques of chasing and repoussé, his work is steeped in traditional Tlingit metalworking and includes the training of several apprentices. Rasmuson’s project awards amount to $7,5000 and are designed to help an artist advance a specific work. Sitka winners include composer and musician Zak Dylan Wass and clothing designer Peter Williams. Williams designs wearable art from seals and sea otters. His project award will go towards constructing a shed and purchasing supplies to tan hides and refine his designs. Another project award winner is carver Robert Mills of Kake. Mills will travel to study Northwest transformation masks at museums in the U.S. and British Columbia, bringing that technical knowledge back to Alaska to create a transformation mask himself. “That idea of transformation – going from a physical bird or a raven and then you get into the inner spirit – is pretty amazing. The possibilities are endless,” said Mills over the phone. Used in potlatches throughout the Northwest Pacific, transformation masks depict one spirit on the outside and when a string is pulled, reveal another spirit underneath. Mills is tossing around the idea of making the outside of his transformation mask an octopus, that opens alongside the beak. “The challenge of that keeping me up at night, keeping my mind engaged constantly of how can I pull that off…I like that idea,” Mill said. He plans to debut the mask with a new song. Mills called from Anchorage, where Rasmuson hosted a workshop for the 35 winners on Friday (05-11-18). Winners based in Southeast include master weaver Delores Churchill of Ketchikan, painter Mary Ida Henrikson of Ward Cove, and carver Glenn “Stormy” Hamar of Kasaan. 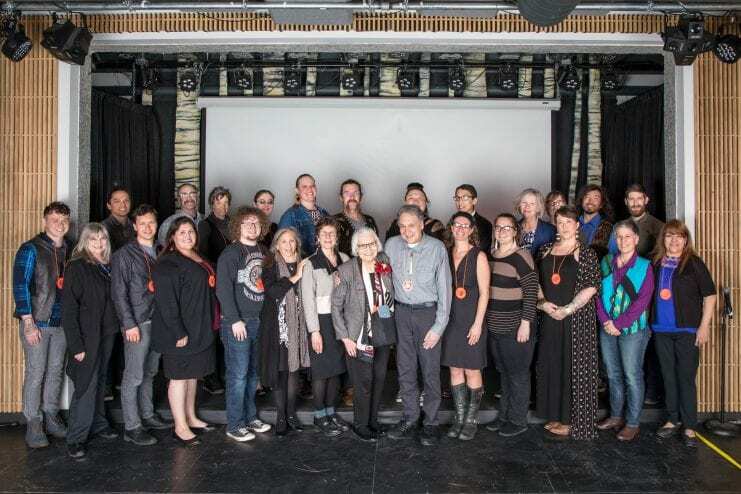 Juneau had four winners: filmmaker Susan Stark Christianson, performance artist Roblin Gray Davis, carver Alison Marks, and weaver Ricky Tagaban. Read more about their projects here.